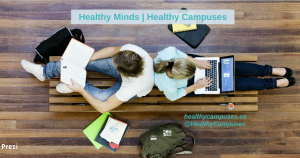 Learn more about Healthy Minds | Healthy Campuses with this short Rack Card. 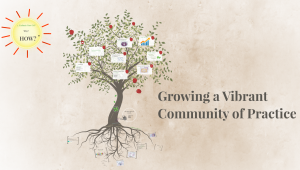 Please feel free to share this PDF with anyone who might be interested in learning more or getting involved with our Community of Practice. 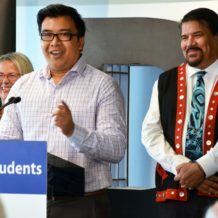 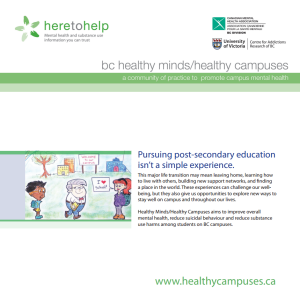 This presentation was given at the BC Career and Colleges Association Conference in Vancouver in October 2015. 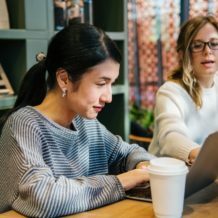 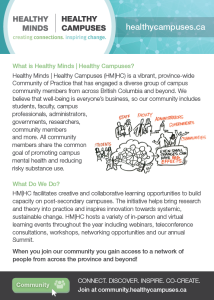 The Prezi highlights what HM|HC is, describes the student experience, our history, what we do, how we do it, key outcomes and helpful resources. 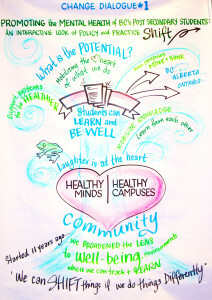 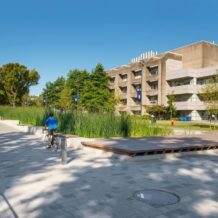 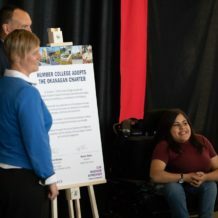 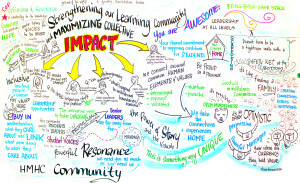 The 2011 Healthy Minds | Healthy Campuses Backgrounder provides an overview of what a community of practice is, identifies learning activities the community were involved with and outlines who was engaged with the community at the time.